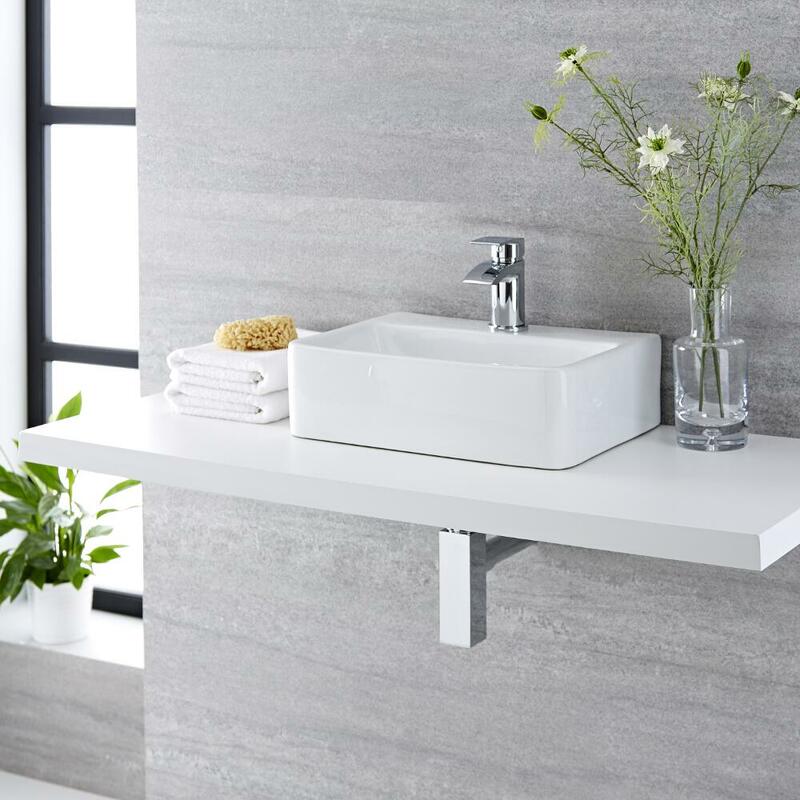 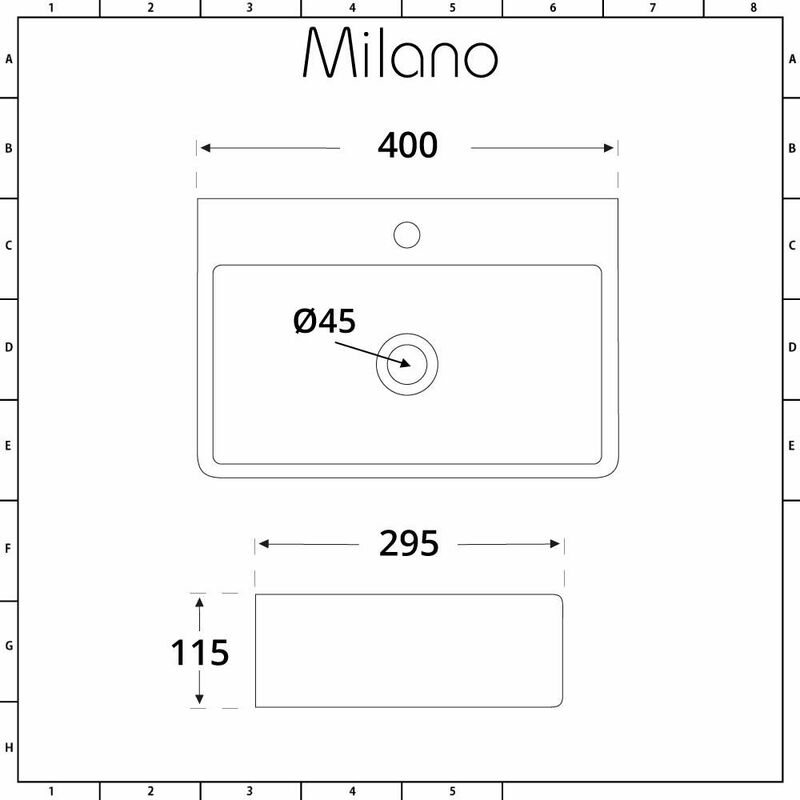 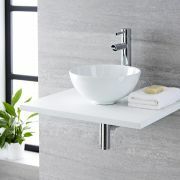 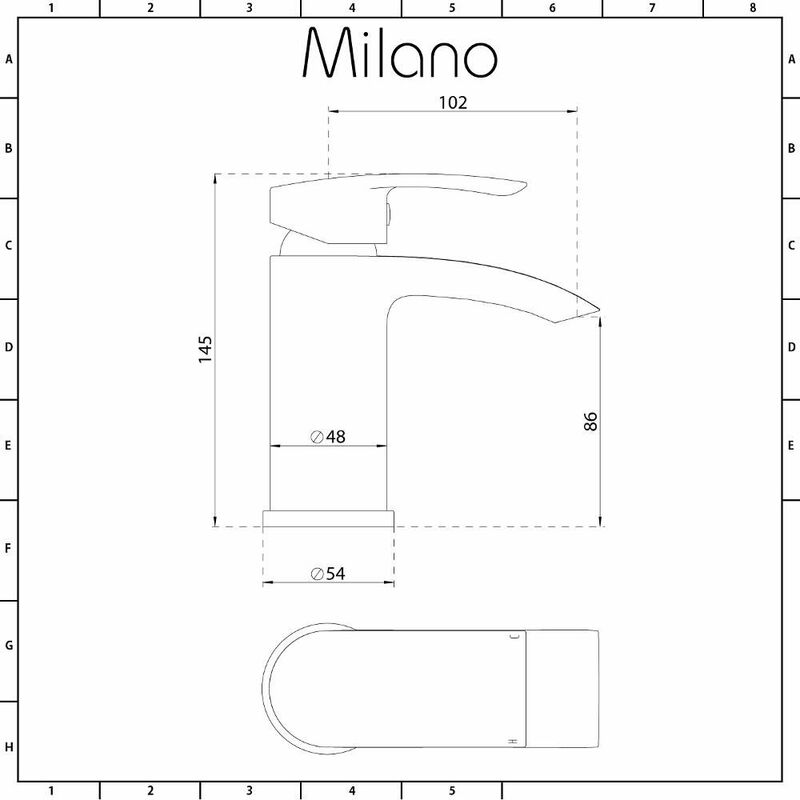 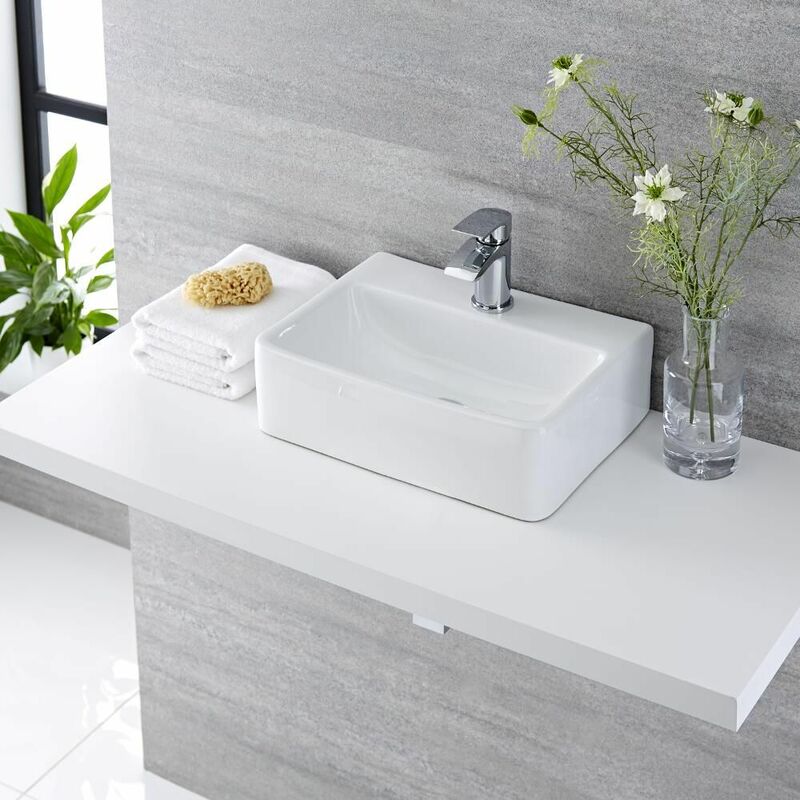 The Milano Farington 400mm countertop basin complete with mono basin tap is the perfect choice for bringing a touch of spa-style luxury to your bathroom. 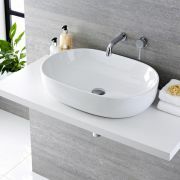 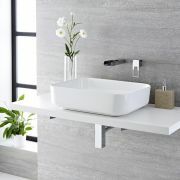 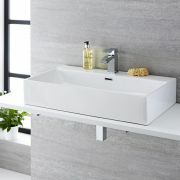 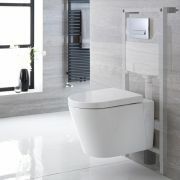 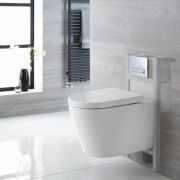 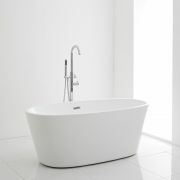 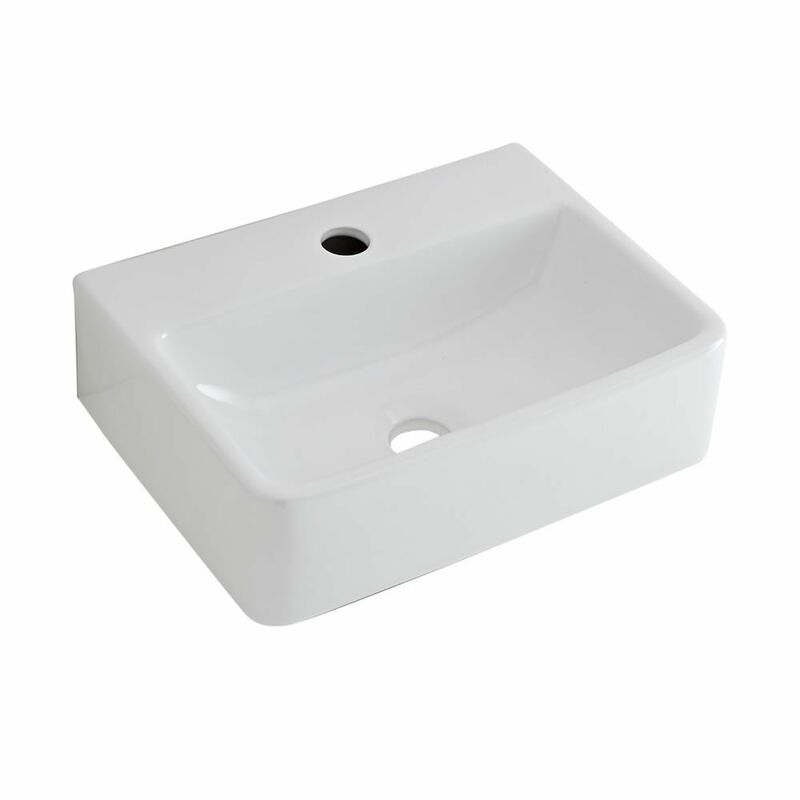 Featuring soft square lines and a contemporary design, the basin has been crafted from premium quality ceramic with a highly durable white glazed finish that’s easy to clean. 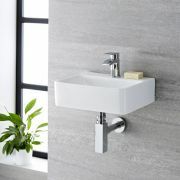 The solid brass basin tap perfectly enhances the design of the basin and adds the finishing touches. 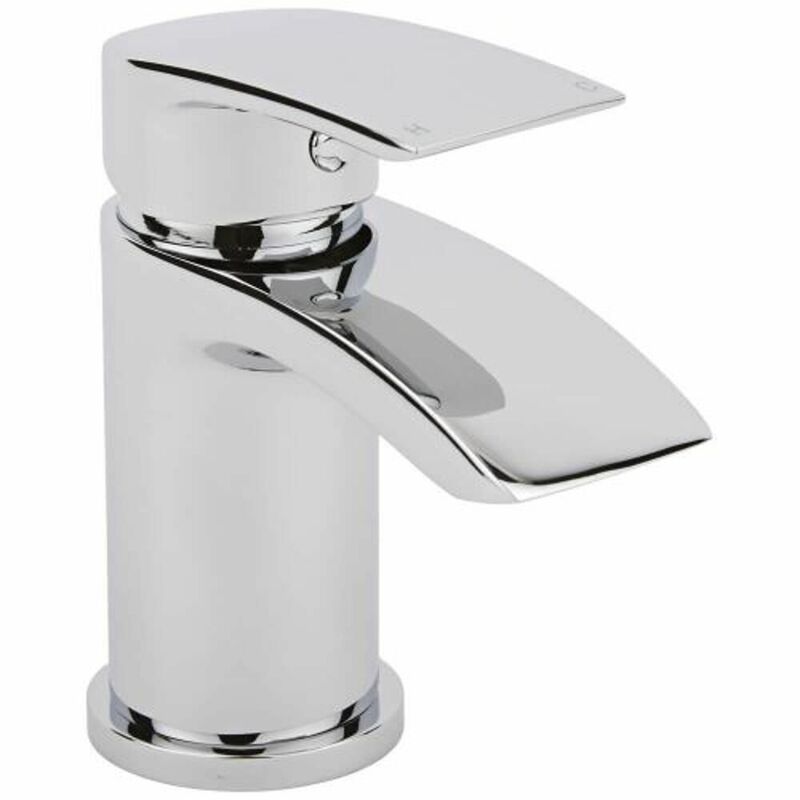 Incorporating ceramic disc technology to prevent leaks and drips, the tap has a chrome finish and an easy to use lever handle.